Ricki Lake is currently in Ibiza, Spain and she reportedly plans on spreading the ashes of her ex-husband Christian Evans there. Christian passed away earlier this year after succumbing to mental illness and committing suicide. 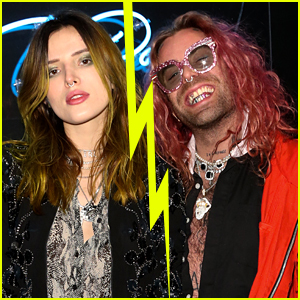 Ricki and Christian loved Ibiza when they were a couple and he even proposed to her there, so she reportedly decided to spread his ashes in the city. “Es Vedra and me. #magical #Ibiza . Bringing my beloved home. #christianevans #loveiseternal �’�🙏😘🌸,” Ricki captioned an Instagram photo of her in town this weekend. Jennifer Hudson Towers Over Her 'Hairspray' Co-Stars at FYC Event! 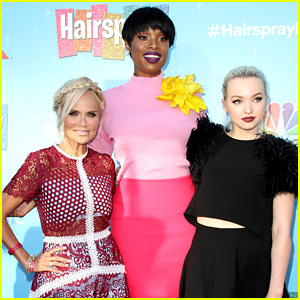 Kristin Chenoweth and Dove Cameron sandwich in their much taller co-star Jennifer Hudson while attending the Hairspray Live! For Your Consideration event held at the Saban Media Center on Friday (June 9) in North Hollywood. 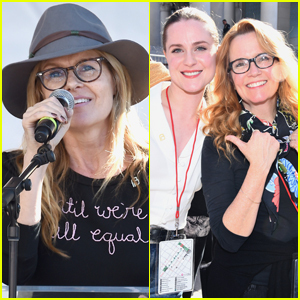 The ladies were joined at the event by their co-stars Maddie Baillio, Garrett Clayton, Ephraim Sykes, Shahidi Wright Joseph, and original Hairspray star Ricki Lake. The cast of the NBC live special is hoping to secure some Emmy nominations for the production! Ricki Lake is opening up about the death of her ex husband Christian Evans after he committed suicide in February. It was not public knowledge that Christian had committed suicide by a self-inflicted gunshot wound before this interview. Our continued thoughts are with Christian‘s loved ones. Ricki Lake is speaking out to mourn the death of her ex-husband and “soulmate” Christian Evans. Christian passed away after a life long struggle with bipolar disorder, Ricki revealed in her Instagram post. “It is with a heavy heart that I share that my beloved soulmate, Christian Evans has passed. The world didn’t understand this man, but I did,” Ricki wrote in her post. Ricki Lake, who played the role in the 1988 movie, and Marissa Jaret Winokur, who played the role in the 2002 Broadway musical, made a special appearance in the song alongside Maddie Baillio, who is playing the role in the NBC live production. 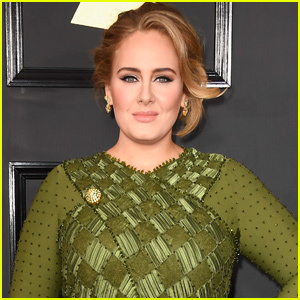 “Welcome to the 60s” is a song that features Tracy getting her mom Edna (Harvey Fierstein) out of the house to experience what the world is like during the 1960s. READ MORE: The two original Tracys spoke to us about their cameos in the NBC production!